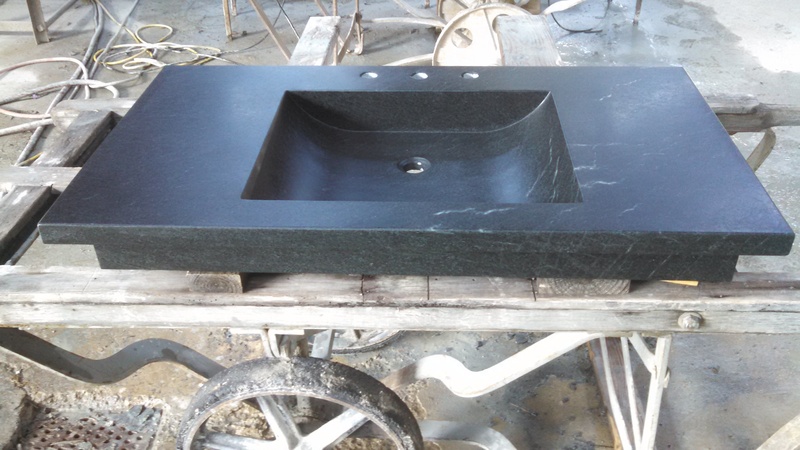 Integrated Soapstone sink and counter for a custom cabinet. 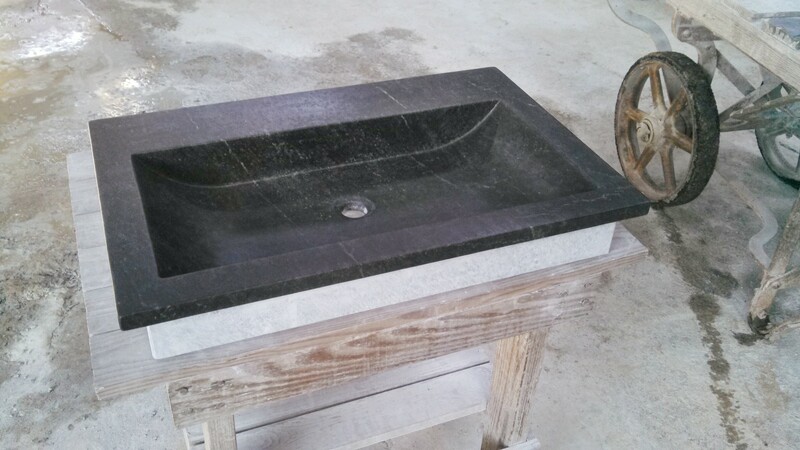 These Virginia Soapstone vanities are on their way out the door! 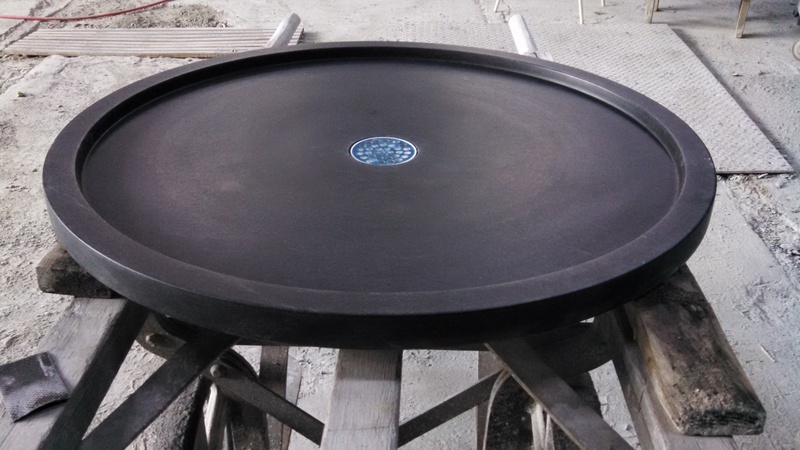 Making their way to a renovation in California. Three big bowls all in a row. Destined for deliveries wrapped with bows. 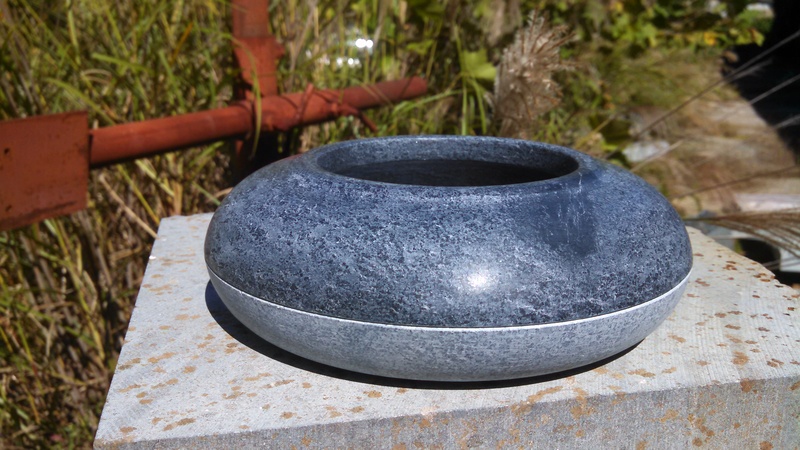 At 11″ x 20″ this drop in will fit nicely in the clients small powder room . 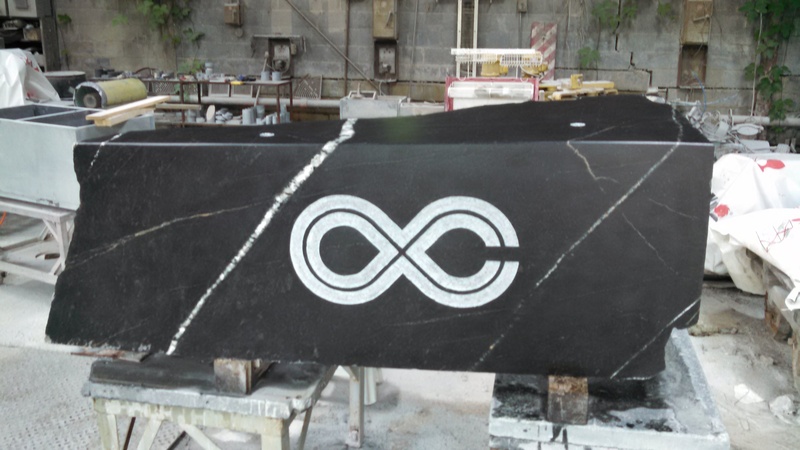 The vanity counter will be Black Walnut – can’t wait for the install pic’s. 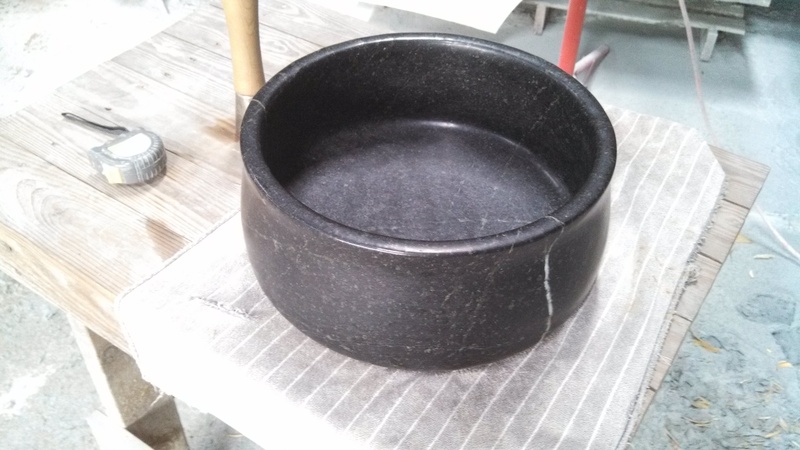 This 40″ diameter soapstone shower pan was turned on the lathe. 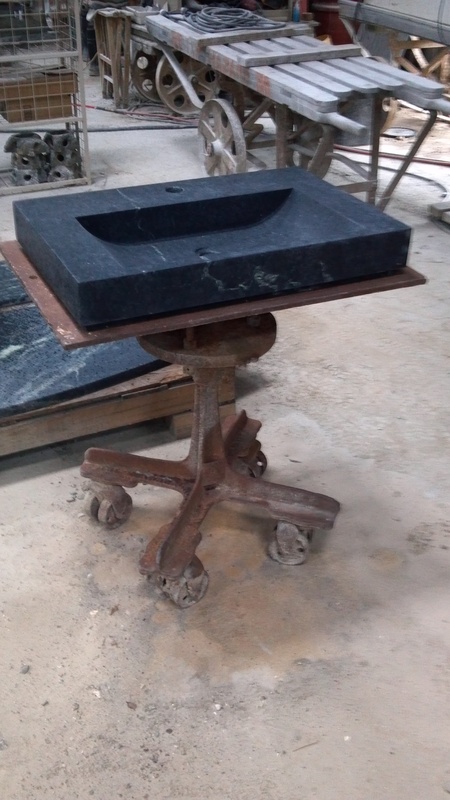 This Soapstone vanity was commissioned to sit on an antique dresser to serve as the sink in a powder room. This was a very satisfying piece. 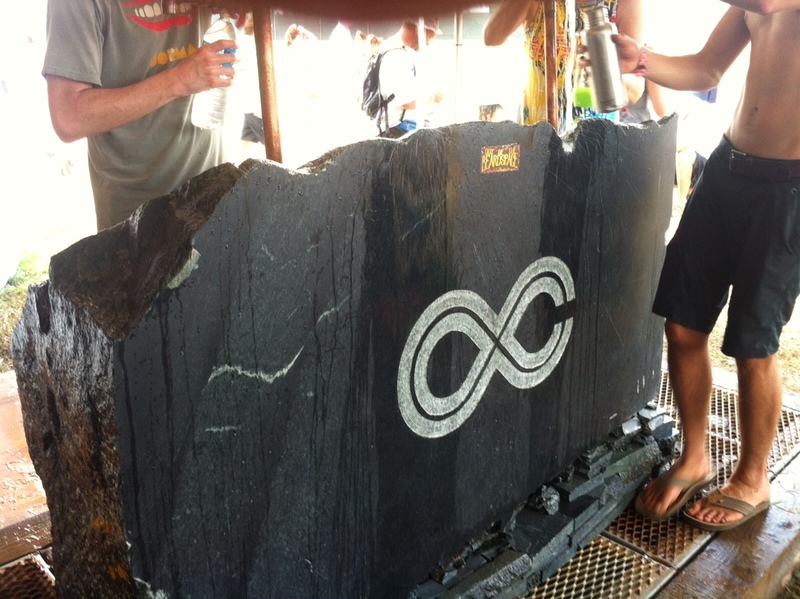 8″ x 2″ was a bit tight to get this shape but it worked. 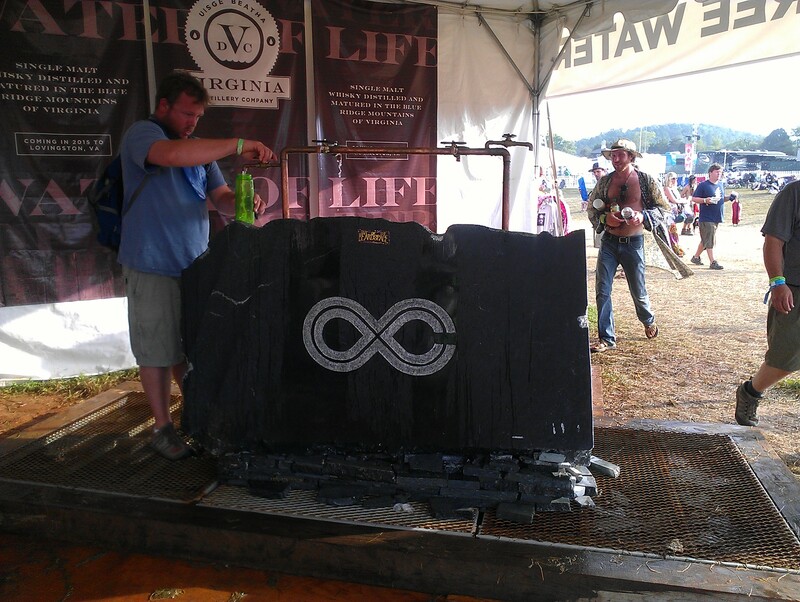 Thirsty festival goers fill up from the soapstone watering stations at the Lockn’ Music Festival in Arrington VA Sept. 2014. 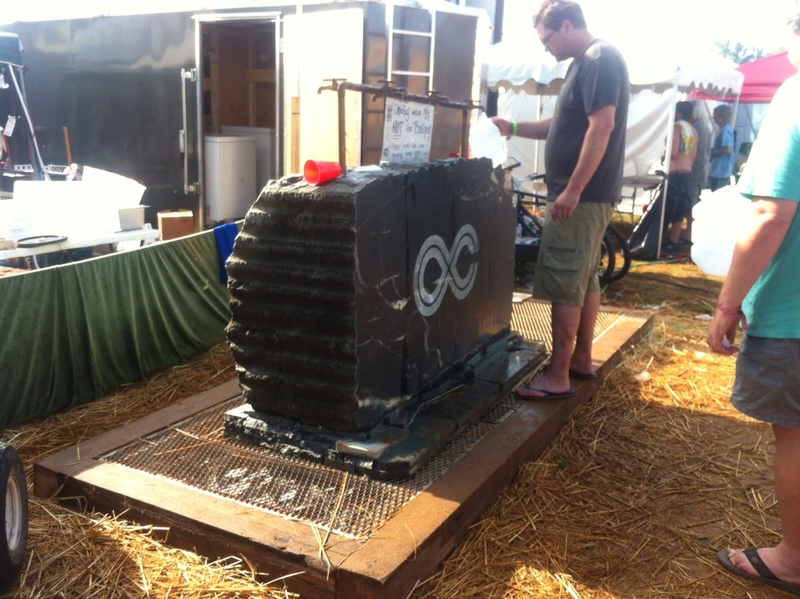 These polished Alberene Soapstone blocks will serve as the bases for drinking water stations at the Lockn’ Music Festival in Arrington VA Sept. 2014. 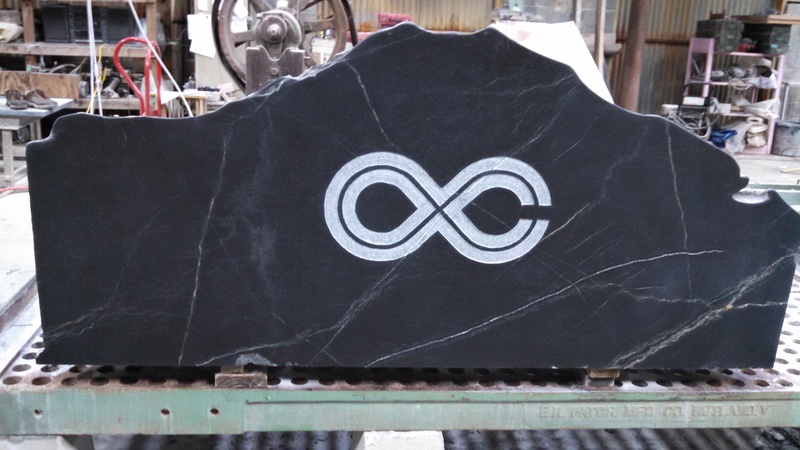 We are so excited to have created these for this event and to have a booth for our wares! 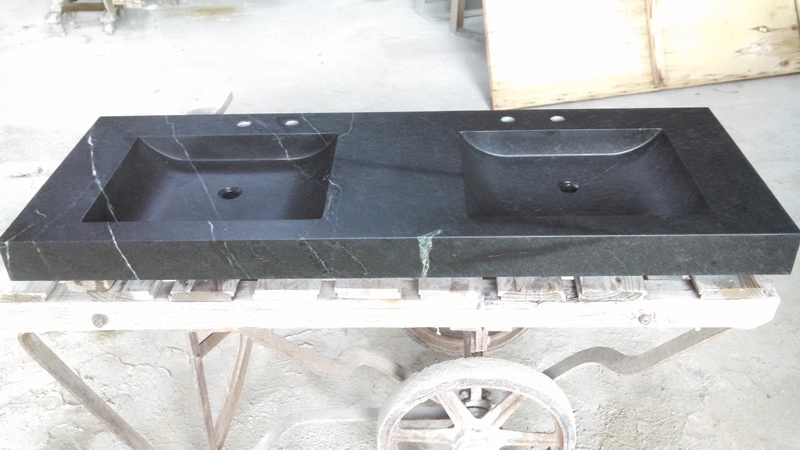 One of two solid slab Soapstone vanities for the new Park Tavern Grill. 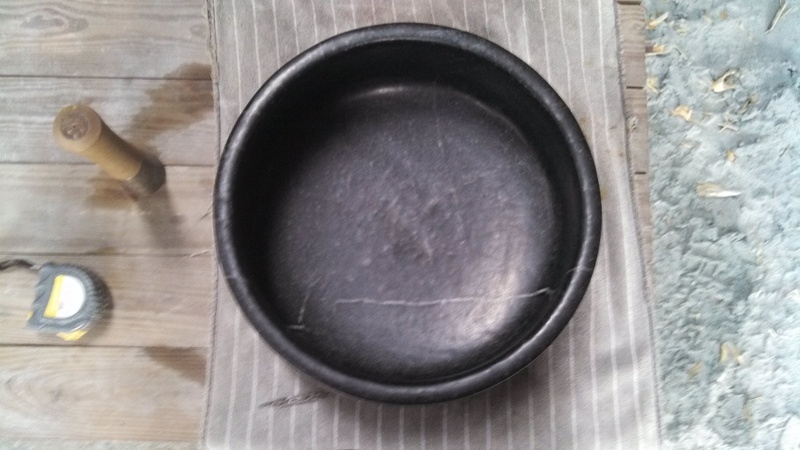 Polish applied, rubbed to a luster and awaiting installation in the new restaurant! 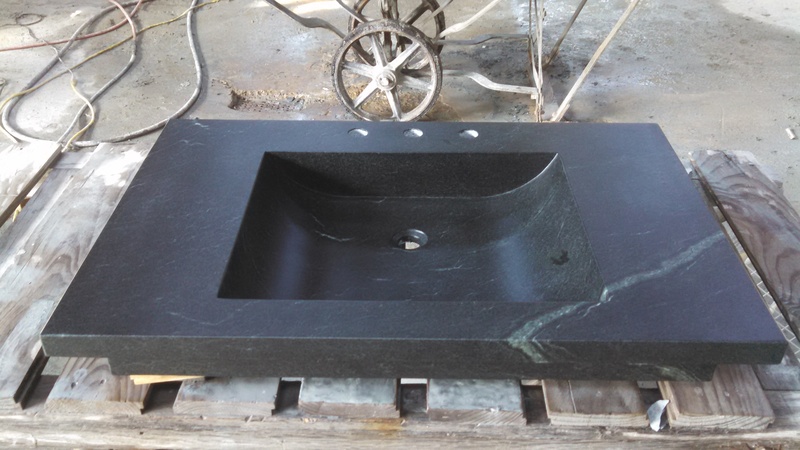 The first of two sinks for the Park Tavern Grille in MD! 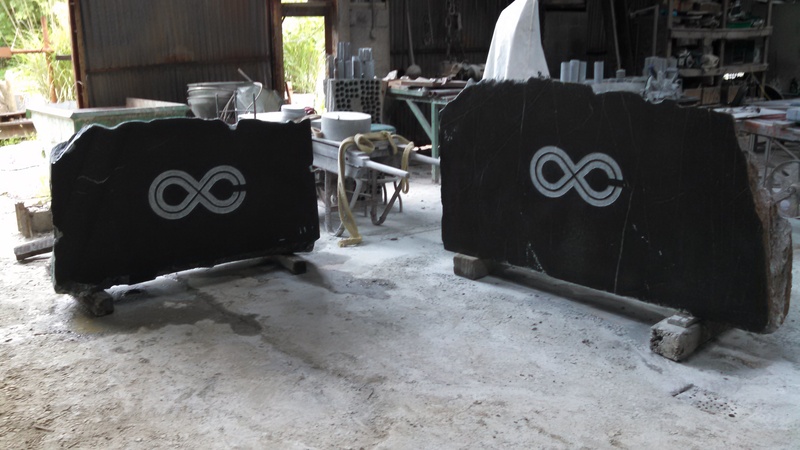 These are 24″ x 64″. 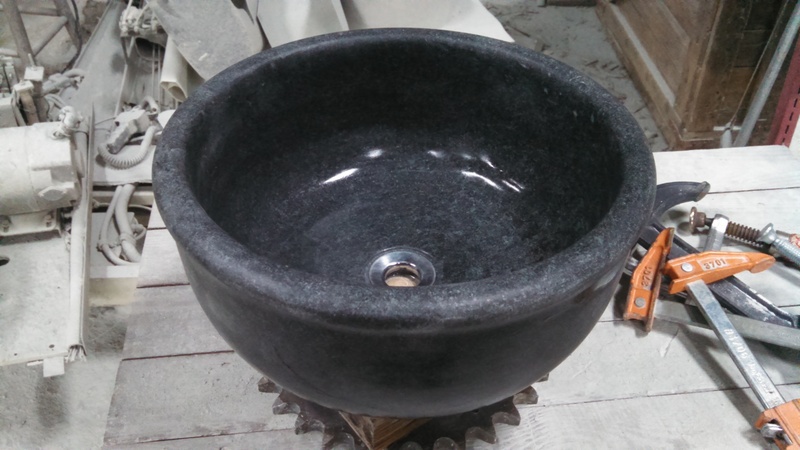 27″ drop in Sweep – VA soapstone sink milled from a solid block. 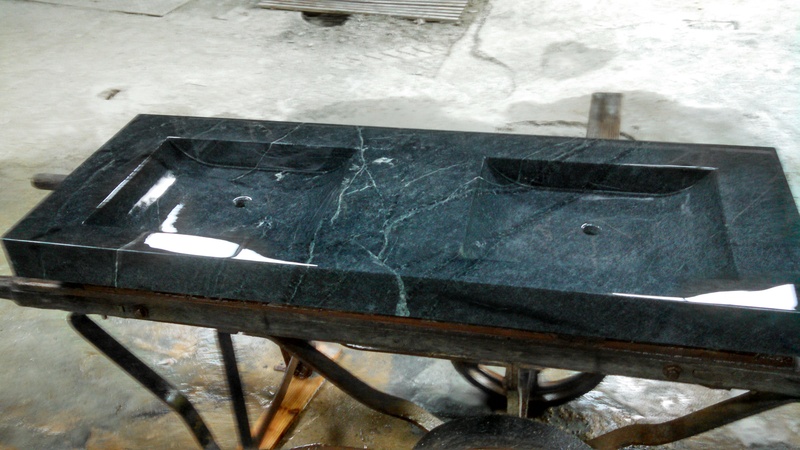 The Banjo Vanity is three laminated layers of Soapstone milled into shape. 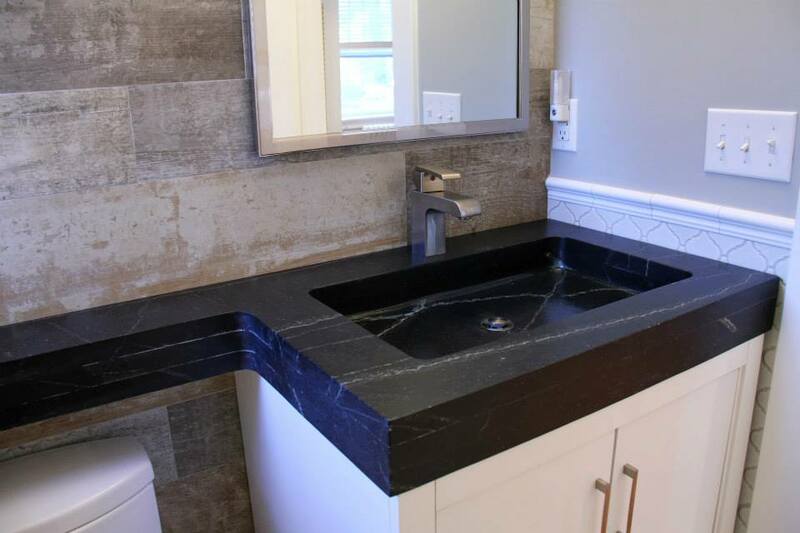 It extends the width of the powder room forming a shelf over the commode.